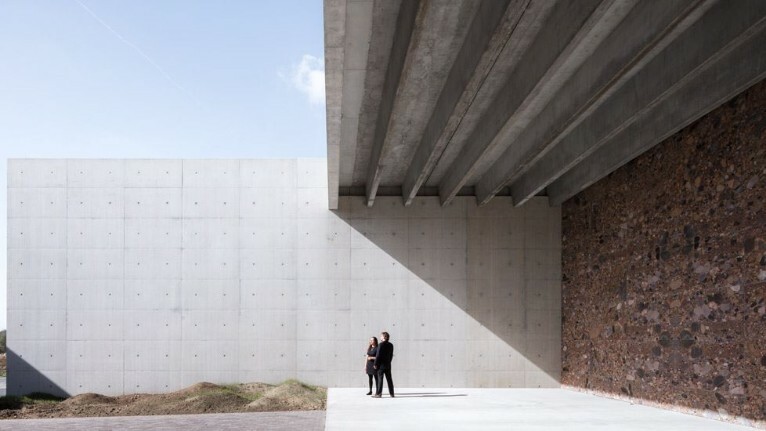 KAAN Architecten has completed the new Crematorium Siesegem on the outskirts of Aalst (Belgium), as an entry for an international competition that the Dutch firm won in 2012. 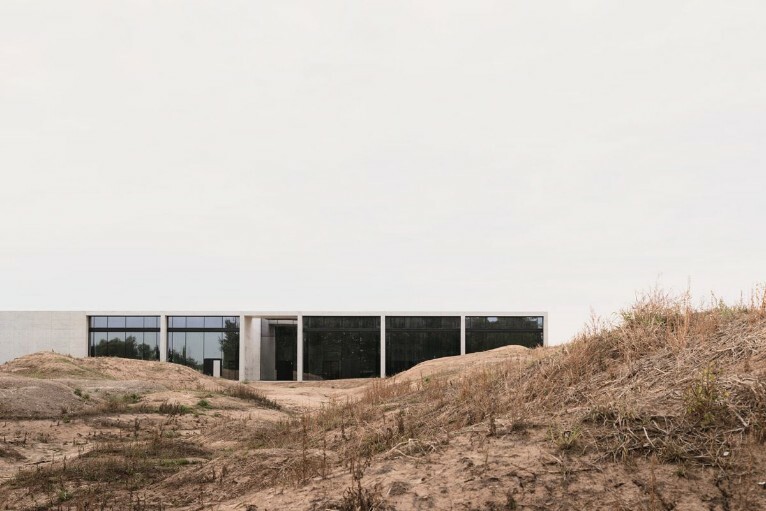 Located in the countryside bordering the western ring road of the Belgian city, the building is an ode to verticality, while being horizontal and pure in its geometry and balanced proportions. 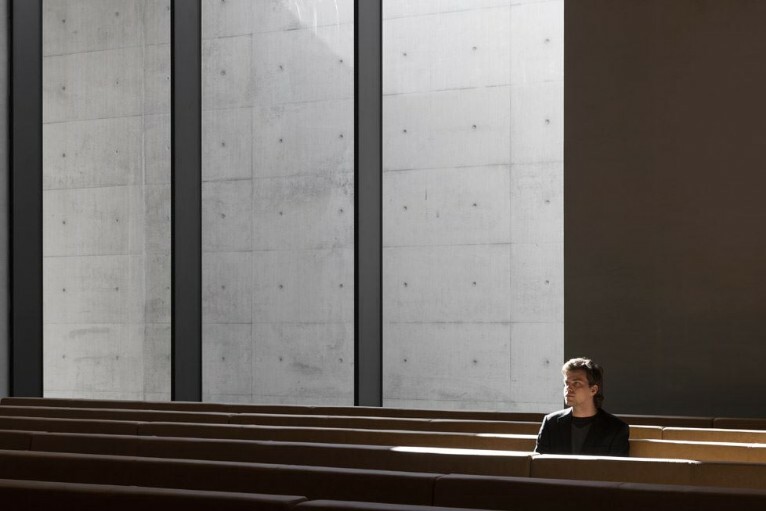 The design by KAAN architecten aims to accompany the transition from a busy outside world into a metaphorical and physical interior imbued with calm and restraint with a building that speaks to visitors and appeals to their emotions: it instils calmness and the sequence of spaces enhances reflection. Visitors should never feel lost, and architecture goes beyond being a mere background, to offer spatial guidance. The south-western corner of the building opens onto a patio and serves as a transitional zone, welcoming visitors and leading them towards the indoor spaces. Crematorium Siesegem encompasses two ceremonial assembly halls, the largest is for 600 people. KAAN Architecten was involved in the overall design, including the furnishings, and in particular the benches: elegantly shaped seating with leather upholstery in yellow-beige colour, a recurrent hue for the Crematorium spaces, chosen for its gentle texture and direct reference to sand and dust. The choice of materials and the detailing are paramount to achieving a placid mood. For the exterior, KAAN Architecten chose the rhythm of béton brut. 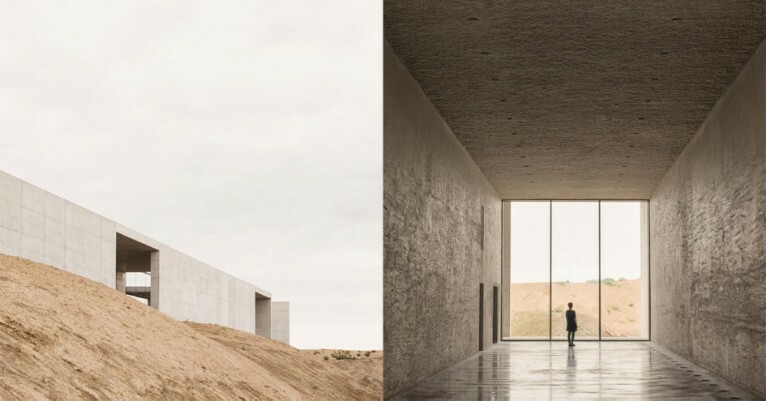 For the interior, the walls are matt and have a textured render, while the ceiling has a rough sprayed finish to ensure muted acoustics – a fundamental feature of such a building. Oak parquet floors have been chosen for the family rooms and the cafeteria. 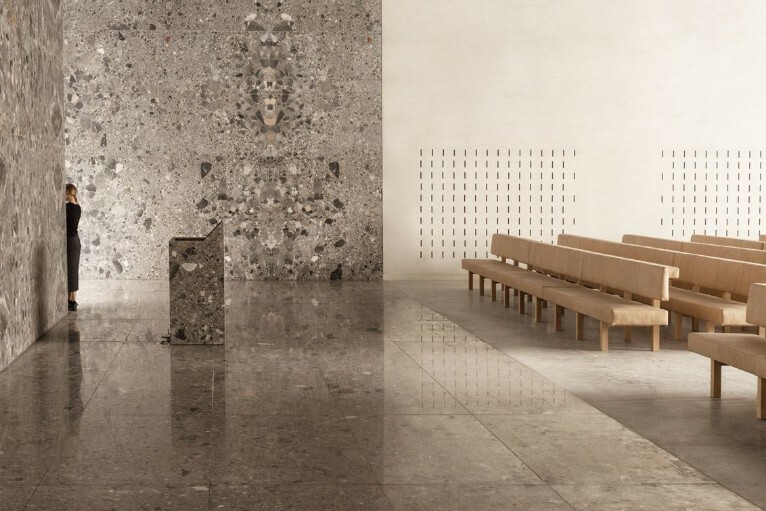 All the spaces express the essence of the architecture, and Ceppo di Gré marble plays a vital role. 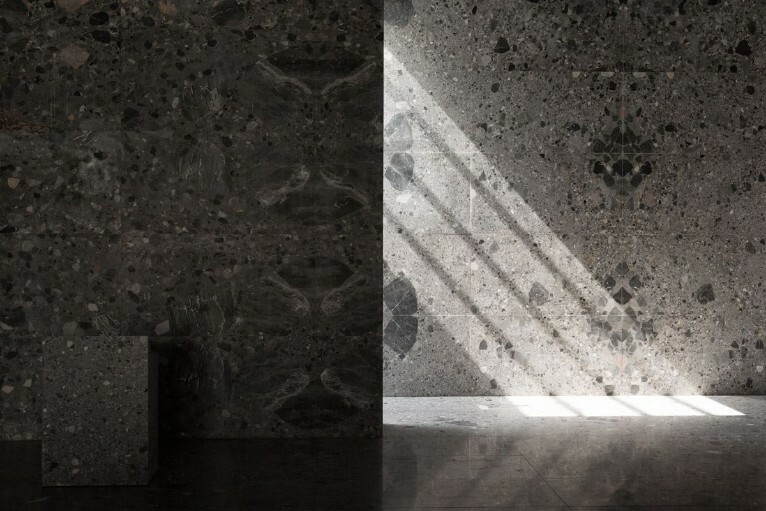 After sawing the stone blocks into 2.4 x 1 metre plates, the architects arranged a composition that results in a visually coherent pattern. Floors and walls have been treated in the same way. Identical marble was used for the reception desk in the long foyer, the bar, the lectern, the catafalque and the high skirting of the courtyard walls.